The Walker Theatre was formally dedicated to music and drama on February 18, 1907, with a gala presentation of Puccini’s Madam Butterfly. It was named after its owner, Corliss Powers Walker (1853–1942), an American-born theatrical agent. Walker became an impresario of lasting importance by presenting outstanding theatre, opera, vaudeville, orchestral concerts, and silent films in Manitoba. Designed by Montreal architect Howard G. Stone, the theatre was intended to be part of a hotel, office, and retail complex. Only the 2,000-seat auditorium, lobby, and box office were built. The focus of the auditorium is the great proscenium, a 12-metre-high arch which separates the stage from the seats. This plaster arch, ringed with garlands of ivory acanthus and gold oak leaves, holds a central painted panel with two allegorical figures representing the arts. 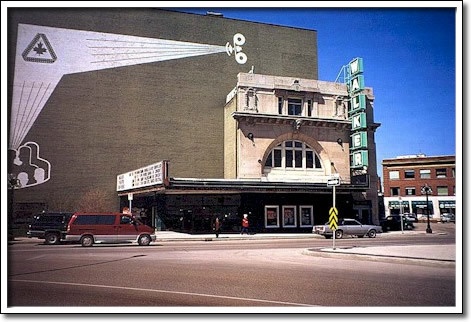 After serving for nearly 30 years as a centre for cultural activity and political debates, the Walker Theatre was used as a cinema from 1945 to 1990. It reopened in 1991 as a home for performing arts.